The week of President's Day, we study several of our past presidents and our current president. Here are a few of the things I do. We make a venn diagram comparing what we have learned about George Washington and Abraham Lincoln. We also make George and Abe using the same shape. Right side up is Abe and upside down is George. The kids like gluing the cotton balls on for Washington's hair. We try out different ways to clean dirty pennies. We use flour, salt, vinegar, water, and ketchup. The students make predictions and then test out their guesses. This is a free lesson that can be downloaded from the TLC Lessons website. 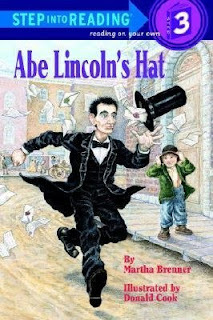 We read the book Abe Lincoln's Hat and thought of things we would keep if we had a hat like Abraham Lincoln's. 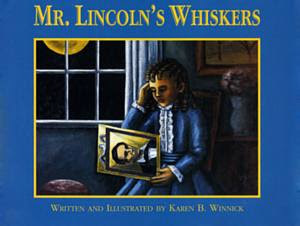 We read the book Mr. Lincoln's Whiskers and I took pictures of all of the students dressed liked Abraham Lincoln. We used the pictures to make a graph. We made a graph for the question "Do you think Abraham Lincoln looks better with a beard or without? 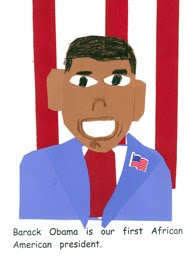 Abraham Lincoln from the TLC Lessons Winter Book. 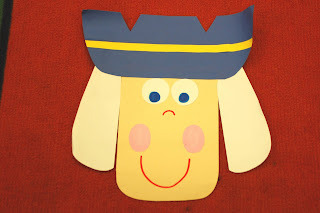 There are also instructions for making George Washington. This is incredible. I wish I had seen this last week! Well, we can always learn about the Presidents after Presidents Day as well. Your kids are so lucky. Love the probability pennies! 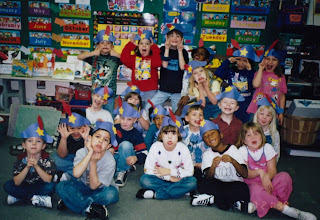 I do this with my kindergarteners too! Would you please post the template for the G.W. and A.L. same shape cut out? ?